I’ve never had Filipino food until I was in Kauai, Hawaii many years ago. Strange I know. I’ve never tasted it when I lived in Indonesia where we are pretty close to the Philippines. I love the Filipino food that we ate in Hawaii. It was very authentic and did not surprise me that it has that familiarity of Southeast Asian food I grew up with. Chicken adobo was one of the foods I tried. I decided to whip it up since I had all the ingredients on hand. 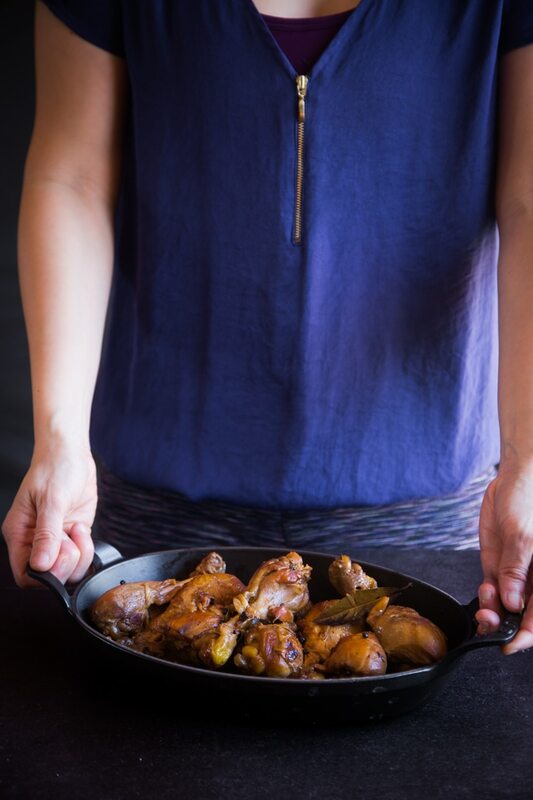 It’s one of the easiest one-pot dishes I must say. You gotta experiment to get just the right balance of flavors-sour to savory. 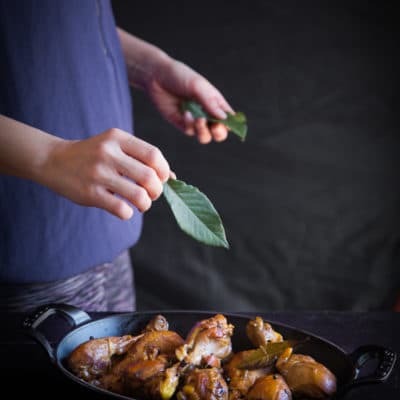 Adobo can be also used with seafood, vegetables, red meat, etc. It keeps well and like most Chinese braised dishes, it tastes even better the next day. 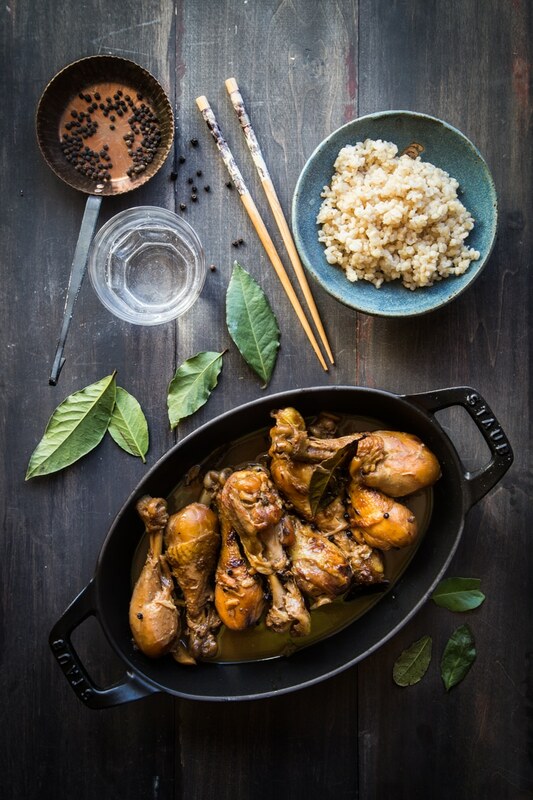 Cane vinegar is used to braise the chicken and Cane vinegar is commonly used in Filipino cooking. Don’t let the word “Cane” fools you into thinking that it is a “sweet” vinegar. It is not sweeter than other vinegar. If you can’t have it you can substitute with rice wine vinegar. I was a bit worried that my kids won’t like it because it’s on the sour side, however, I was worried for nothing. They ate it !! It’s sour but has the right balance of savory and sweetness as well. A Keeper! Have a taste and season with a pinch of salt if needed and serve with rice. Spoon the sauce over the rice or quinoa. Yummy! 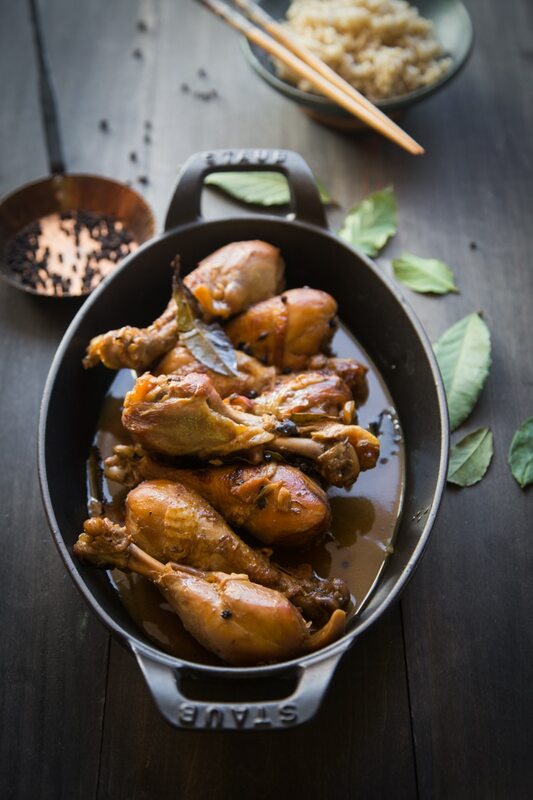 wow, this looks amazing I love chicken adobo! 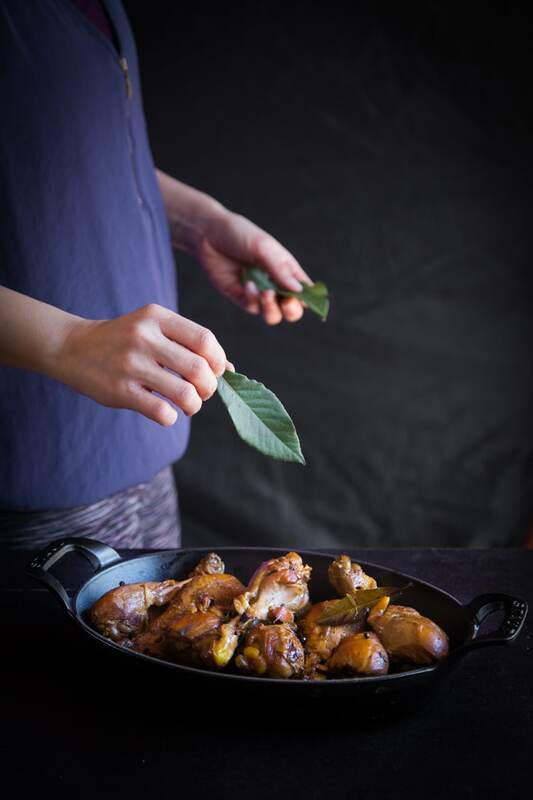 When you simmer the chicken at the end / braise it – do you cover or uncover the pot? thanks! 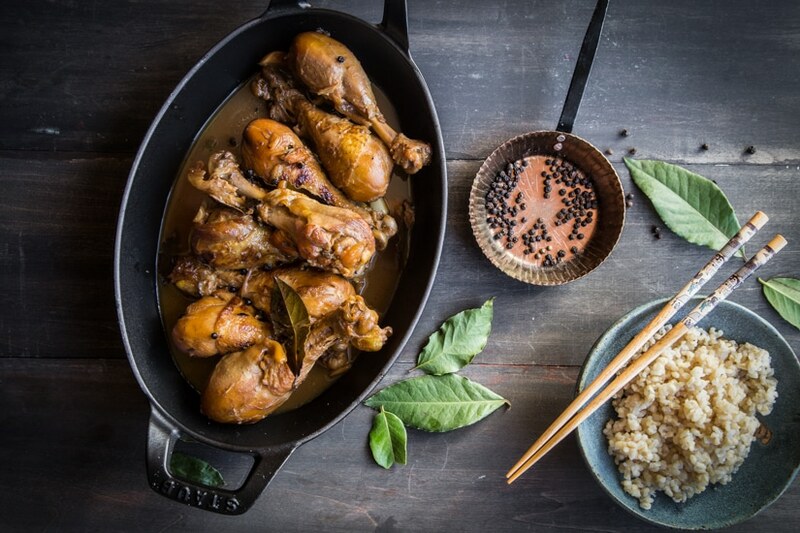 While living in Thailand, chicken adobo was a favorite dish. Your recipe looks great..and easy to prepare. But, JHC, red type on a black background is very difficult to read. Hi Gee, Thank you for letting me know. There was some technical error, not supposed to be that way. Glad you let me know or I wouldn’t have noticed. I’ve fixed that. Hope that helps!